In 2015, an iconic piece of history was discovered lying in an aircraft boneyard in Wisconsin. It was the Douglas C-47 That's All, Brother - the airplane that led the massed paratroop drop on D-Day. 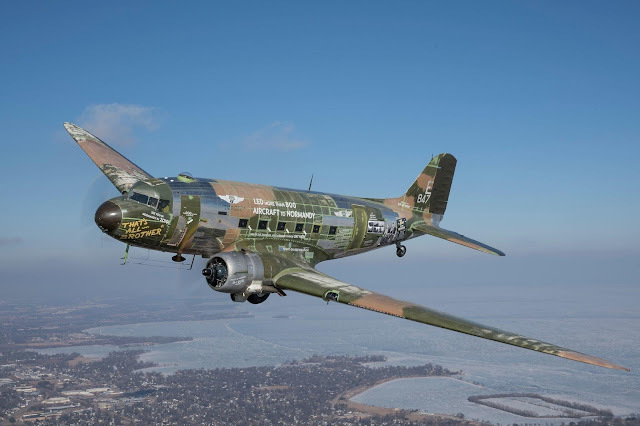 This C-47 was the leader of the formation that dropped thousands of American paratroopers into Normandy on June 6, 1944, or D-Day, paving the way for the liberation of northern France from Nazi Germany. In the decades since, the plane cycled through a series of private owners and eventually landed in an aircraft bone yard in Oshkosh, Wis. The hope is to complete all final work and repaint in time for June 6, 2019, so this plane can fly over Normandy for the 75th anniversary of the D-Day invasion. think about it, would you rather be lucky.... or good? the Bridgestone World Solar Car Challenge last October—the best finish ever for an American student team. 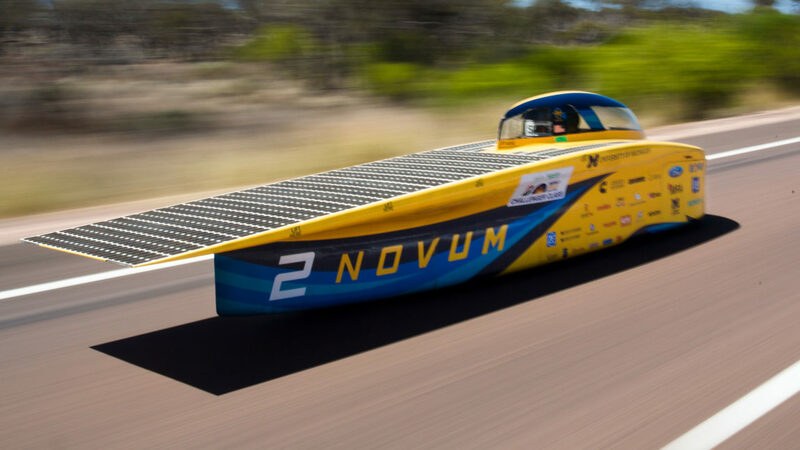 The route is a brutal 1877-mile haul across the Australian outback between Darwin and Adelaide, during which the teams race for nine-hour days on public roads using only the power of the sun. 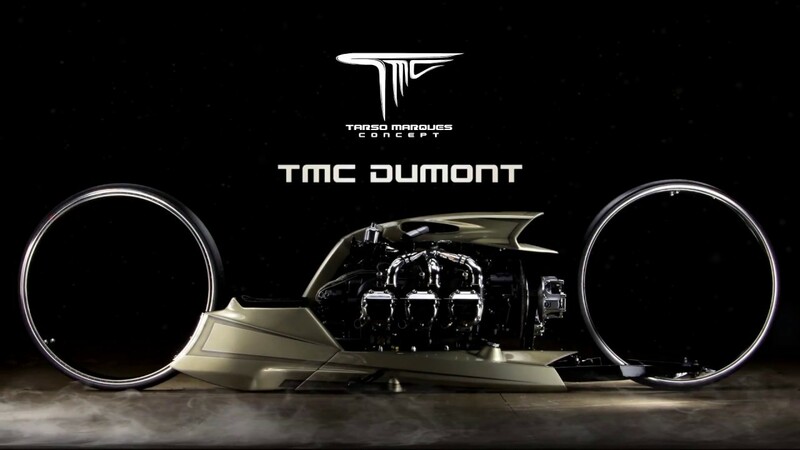 This hand-built one-off, has a three-part body and chassis made of prepreg carbon-fiber components. The suspension bits are gloriously minimalistic CNC-machined aluminum pieces supported by ZF coil-over dampers. Brembo motorcycle calipers do the stopping. Even the steering yoke, a removable job festooned with switches, buttons, and accelerator and regenerative-braking paddles, is made from carbon fiber. And the fully shrouded front wheels actuate windows in the bodywork that pop out to accommodate full-lock steering. its multijunction gallium arsenide solar cells made by the German firm Azur Space. 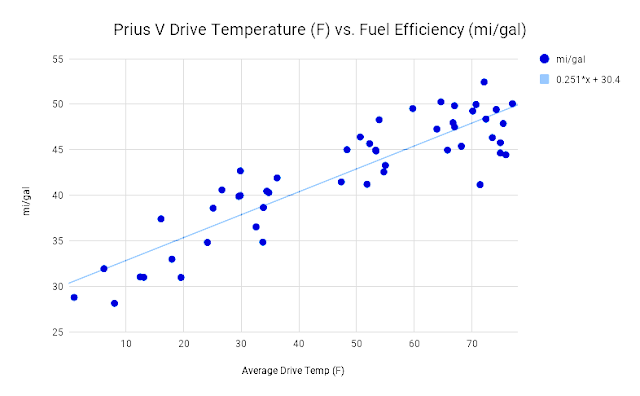 They yield a 10 to 12 percent efficiency advantage over less costly silicon cells and represent a disproportionate amount of Novum’s total expense. And it is a wildly expensive thing. The solar array alone is roughly a $200,000 proposition. Add in the rest of the components, and Novum represents about $800,000 in parts. The program’s budget is $1.2 million all in, but that doesn’t include the more than 30,000 student hours it took to build it. It looks like not only is a bullet train from LA to San Fran impossible, there ain't NO Effing WAY there will ever be one from coast to coast, or north to south. They had an idea that the bullet train could be built about as cheap as a road, or a railroad. My guess is that every single city that get's bypassed, every county, every union, and whatever else that could possibly profit from the construction or way stops of the bullet train all decided to blackmail the rail, and if they didn't get paid from the feds to shut up, they'd get paid in studies of water district impact studies, migratory bird hatching site studies, farming bureau transportation impact studies, highway and road crossing construction delays, etc etc etc. Any and every possible delay that would raise the costs of the bullet train to more than the blackmail costs and kickbacks. The project was initially studied and deemed to be a 33B cost. 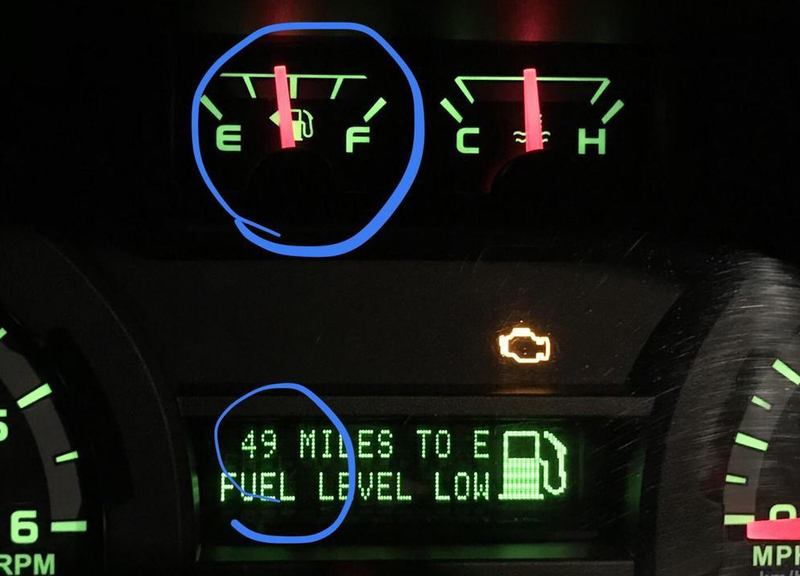 Now, they're saying that it's 75 to 100B. Roughly 3 to 4 times the original cost study. Duntov used his persuasive powers to convince Chevrolet boss Ed Cole and GM R and D director Maurice Olley that a production Corvette would be a “turning point” for GM and that his contributions could be instrumental in advancing any high-performance automobile’s cause. 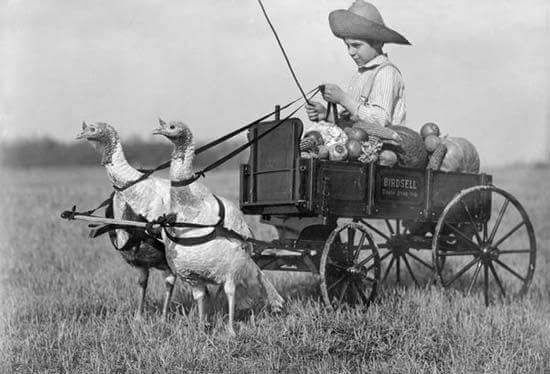 Olley was less convinced that racing relationships with other carmakers were a wise idea. 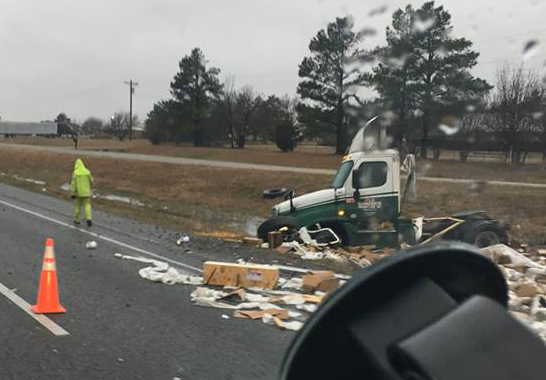 For punishment, he dispatched the Russian to the proving grounds to work on trucks. Cole had other ideas. After reading Arkus-Duntov’s memo pointing out how the hot-rod movement might help Chevrolet reach younger buyers, he gave his rabble rouser a challenging project: developing the fuel injection scheduled for introduction on the 1957 model year Chevrolet V-8 because Corvette sales were faltering and GM was pondering the early retirement of its sports car. 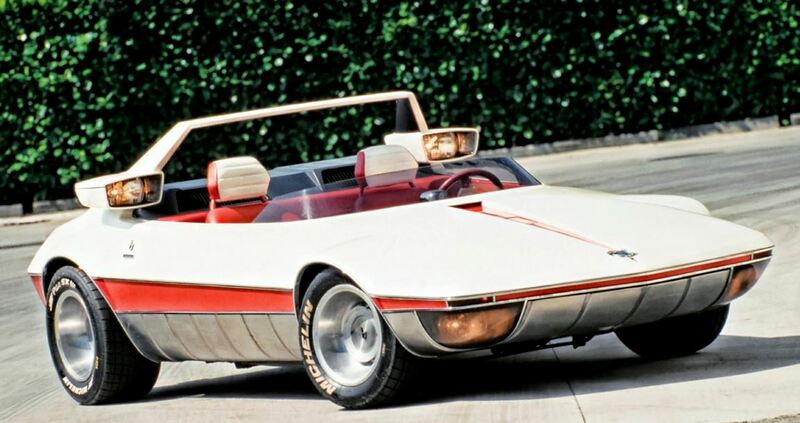 Arkus-Duntov stepped in at the last moment to save the Corvette and to recast it as Chevrolet’s halo vehicle. His views won broad internal respect and the job of evolving the Corvette from a fashionable, gutless two-seater into a world-class sports car. His new authority only encouraged Arkus-Duntov’s speed exploits. Entering a 1956 Chevrolet in the annual Pikes Peak Hill Climb was near the top of the list of possibilities. Their goal was to set a sedan class record. One of the PR managers realized that Duntov would be an ideal person to drive in the event. He had international racing credentials and he was a genuine Chevrolet engineer. 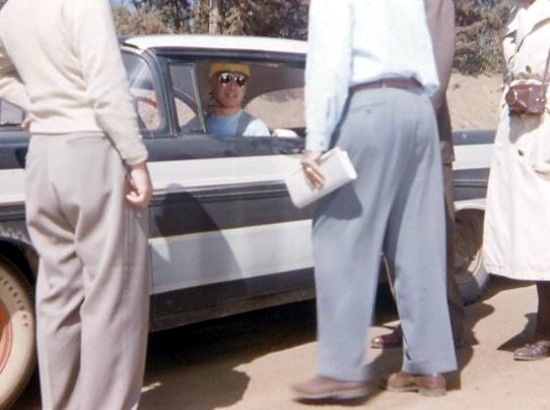 Since the Pikes Peak event would take place prior to the introduction of the 1956 Chevrolets, a elaborate disguise scheme was developed to prevent the premature exposure of the new design. He broke a couple of Pikes Peak records in disguised Chevy sedans, a 2 dr and a 4 dr in early 1955, when Chevrolet public relations began developing ideas aimed at publicizing the performance of their new small-block V-8 engine. They were both equipped with the 265 cubic inch small-block V-8, 3 speed manual transmissions and 4.55 rear ends. The suspensions were beefed-up, but there were no roll-cages installed. 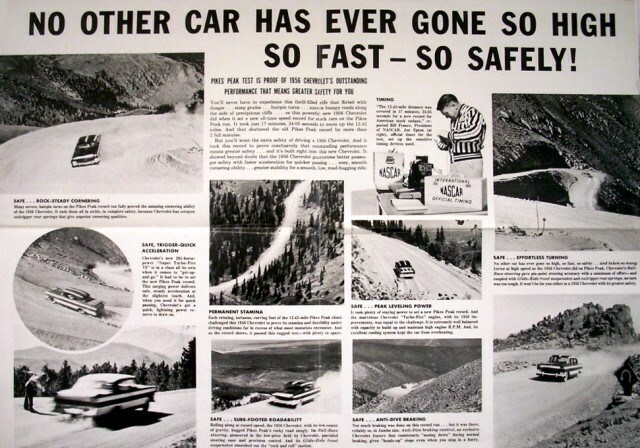 GM had been using Pikes Peak for high altitude testing so there was an established GM Engineering Test Facility ready for Duntov’s team to use in nearby in Manitou Springs. 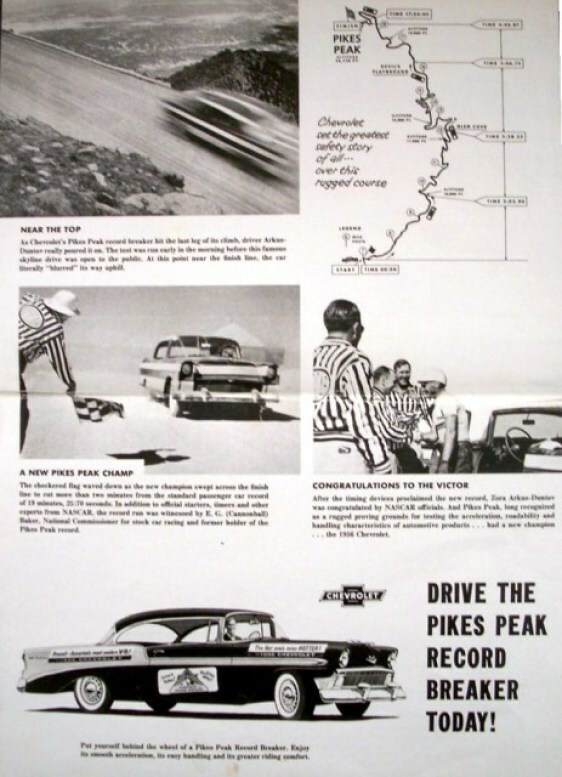 And GM had the juice to get Bill France and his crew to time the private event that was held without the Pike's Peak Hill Climb Associations sanctioning, and so they didn't change the official record books. It is a monument of Russian artillery casting art, cast in bronze in 1586 in Moscow, by the Russian master bronze caster Andrey Chokhov. 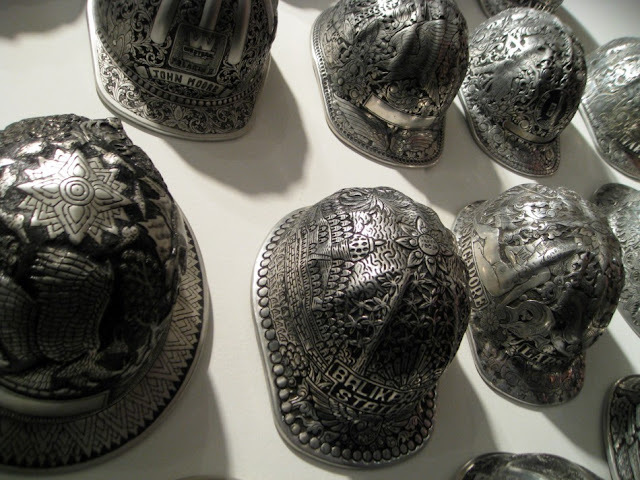 Mostly of symbolic impact, it was never used in a war. 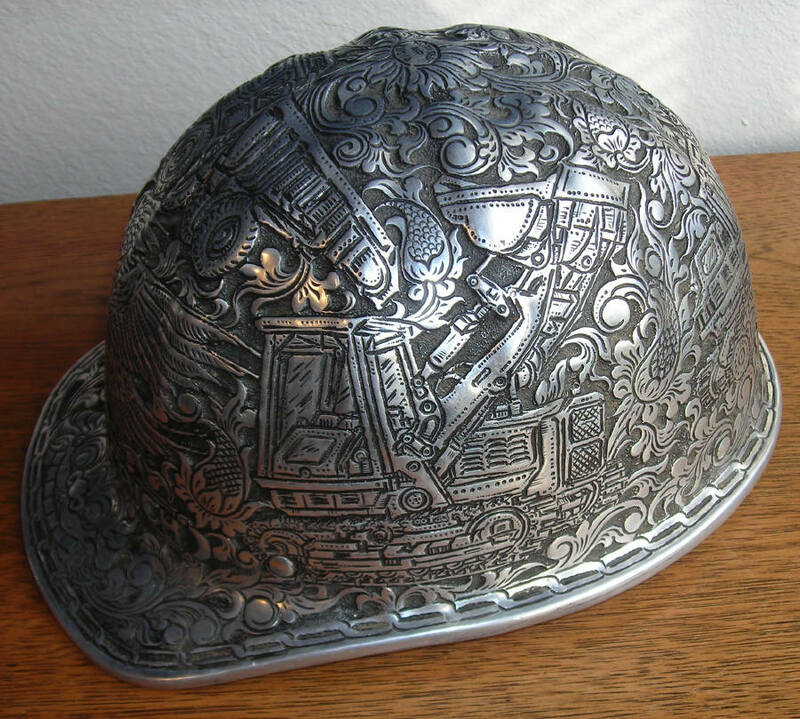 During the French invasion of Russia, although Napoleon Bonaparte considered removing it to France as a war trophy. 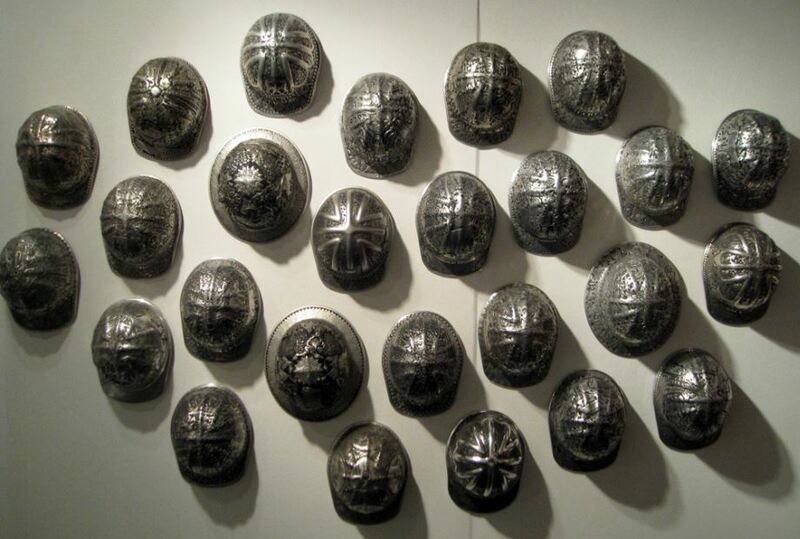 The gun was meant to shoot 800 kg stone grapeshot rather than true, solid cannonballs. 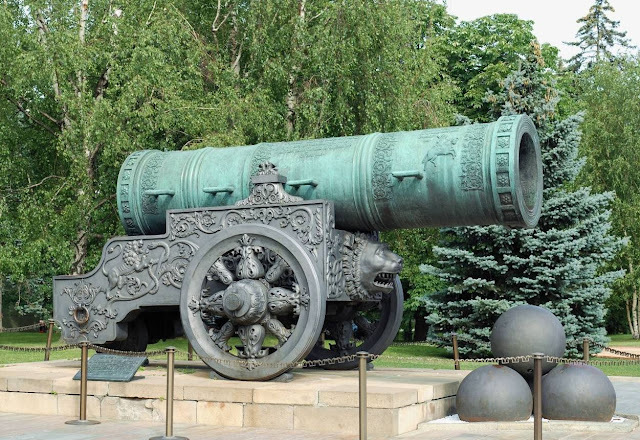 Its bronze-cast barrel has an internal diameter of 35"
The 2000 pound cannon balls located in front of the Tsar Cannon were produced in 1834 as a decoration, too large to have been used in the cannon. According to legend, the cannonballs were manufactured in St. Petersburg, and were intended to be a humorous addition and a symbol of the friendly rivalry between Moscow and St. Petersburg. The breech in this cannon is shorter and slightly smaller diameter than the chase. Both parts are cast with prominent double mouldings at either end which are joined longitudinally by sixteen crosspieces to form an equal number of sockets for the insertion of the levers used in screwing or unscrewing the two parts. 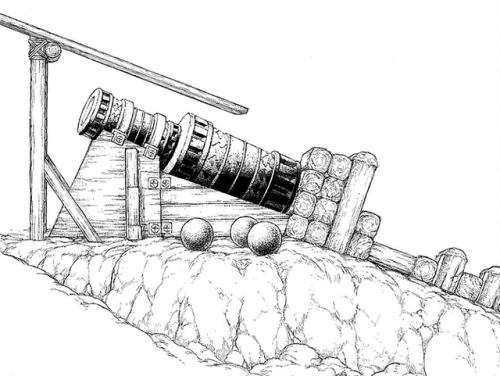 Along with other huge cannons, the Dardanelles Gun was still present for duty 340 years later, so they loaded it and fired at the British squadron of Sir John Duckworth. Six of the ships were damaged and 28 casualties when he attempted to force the Straits. The Dardanelles Operation was the Royal Navy's unsuccessful attempt to impose British demands on the Ottoman Empire as part of the Anglo-Turkish War (1807-1809). British ships were attempting to deter the Ottomans from entering into a war with Russia, ensure freedom of movement for British ships, and hopefully free-up shipping lanes. The operation occurred only two years after the Royal Navy had triumphed at the Battle of Trafalgar. In 1866, on the occasion of a state visit, Sultan Abdülâziz gave the Dardanelles Gun to Queen Victoria as a present. 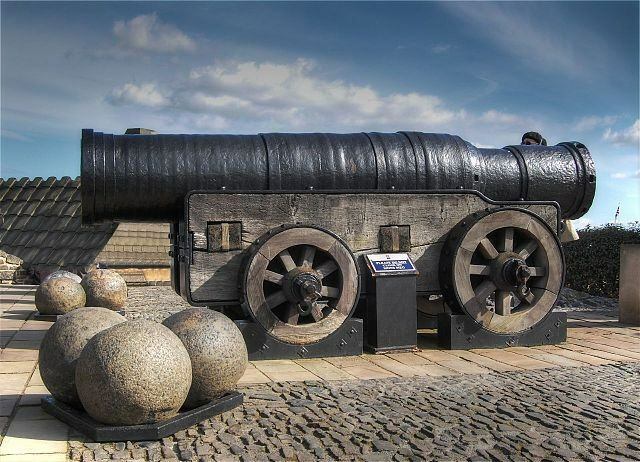 As one of the larger and well documented surviving medieval cannons, Mons Meg stands in pride of place at Edinburgh Castle and in its history. Constructed around 1449 in Mons, part of what is now modern day Belgium, at the request of Duke Philip the Good of Burgundy, the bombard was intended as a wedding present to King James II of Scotland, who, in 1457 married Duke Philips' great niece, Mary of Gueldres. 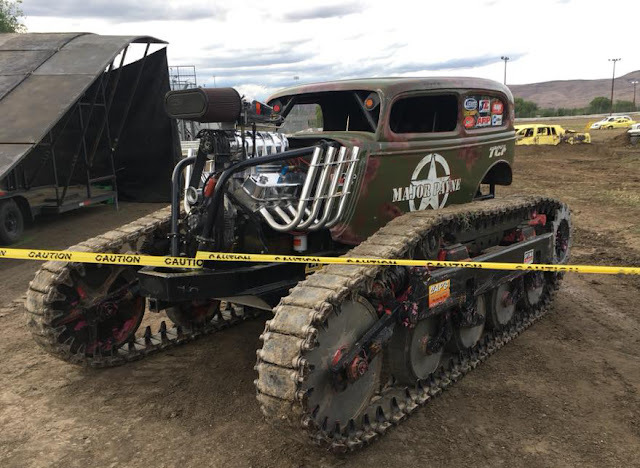 Bill Payne is the founder of Straight Up Racing—an independent monster truck racing team based in Port Orchard, Washington—and has recently debuted a new vehicle, dubbed the “Major Payne”. Adapted from a WWII tank, it’s far from your average monster truck. 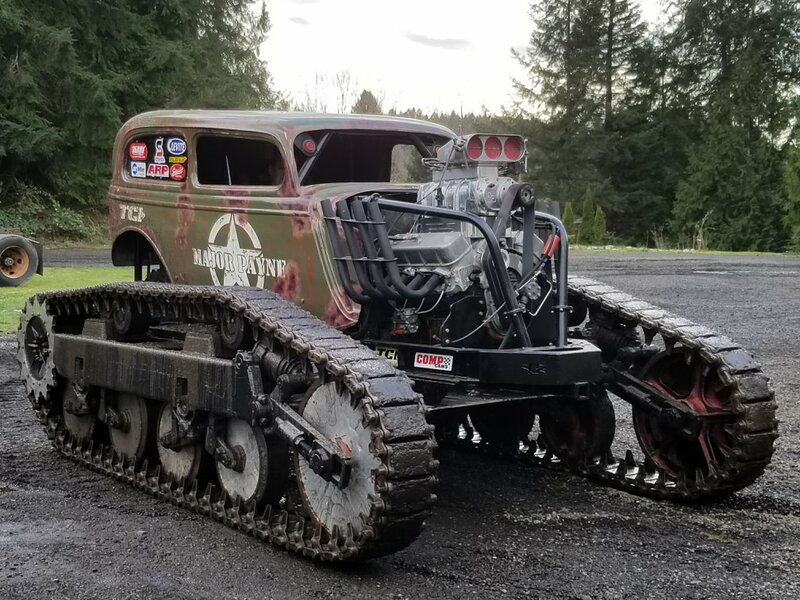 The Major Payne is modified from an M5 Half-Track Personnel Carrier—produced from 1942 to 1943—though the only original elements remaining are the tracks, suspension, and rear drive axle. 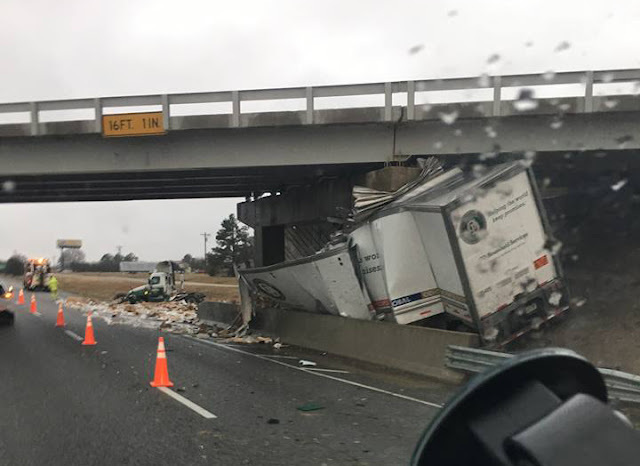 Twelve thousand pounds of weight was dropped in the build, which took over a year to complete. A custom-built reverser box provides the tank with remarkable agility, allowing it to safely pivot on its back idler—offering the illusion of wheelies without risking spinal damage for the driver. A big-block Chevrolet engine with JE pistons, AFR cylinder heads, and a Weiand 8-71 blower furnish the Major Payne with a whopping 1,100 horsepower. The tank is also decked out with a high-flow K and N air filter and performance oil filter. 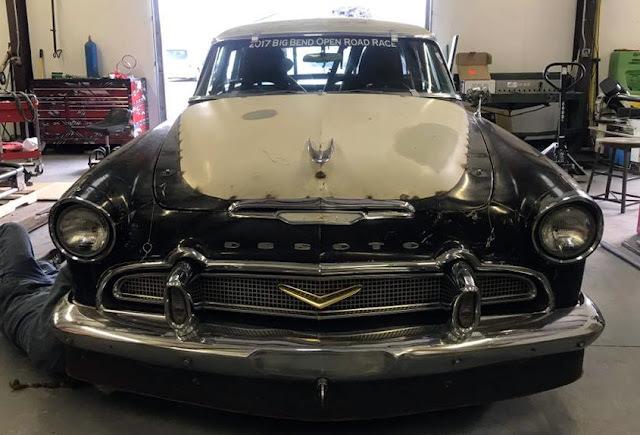 they didn’t want to have the turbo and plumbing peeking out from under the hood so they cut the original hood and shimmed up the skin from a 1956 Chrysler just high enough to add the extra clearance needed and welded it in place. It has 2.47 gears and a Gear Vendors Under/Overdrive unit that puts the final drive at 1.3:1 (with the rpm at about 2,800). For 2018, the plan is to head to Bonneville and shoot for a 200 mph pass, but first there will be serious updates to the drivetrain. To answer that call, a new engine is being built at Scoggin Dickey Parts Center Raceshop based on an all new Duramax block. “The car doesn’t really fit any classes to go for a record in the SCTA, so 200 is more of a personal goal,” Leon told us. This one comes from the Palm Springs home of President Eisenhower, who called it "the most fantastic thing you ever saw." This collection was on display at the Ricco/Maresca booth at The Metro Show. 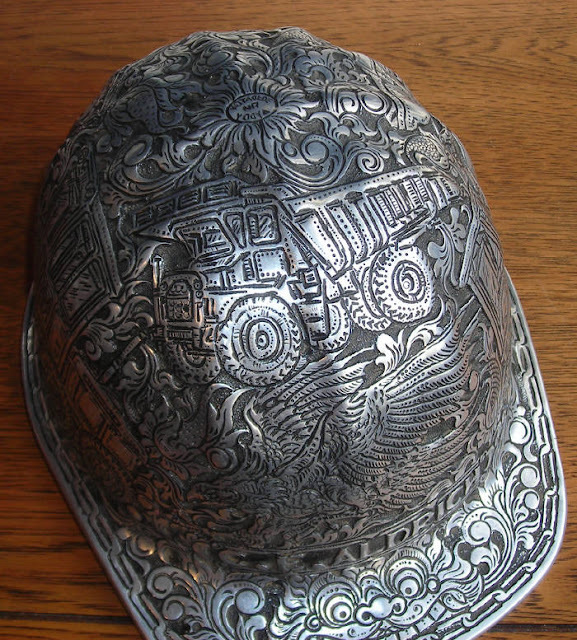 Individually, the hand-tooled hard hats are personalized with names and adorned with motifs custom-made by craftsmen in Indonesia for Americans working on oil rigs on the island nation. The Palm Springs Fire Department showcases its fire trucks in 1940. 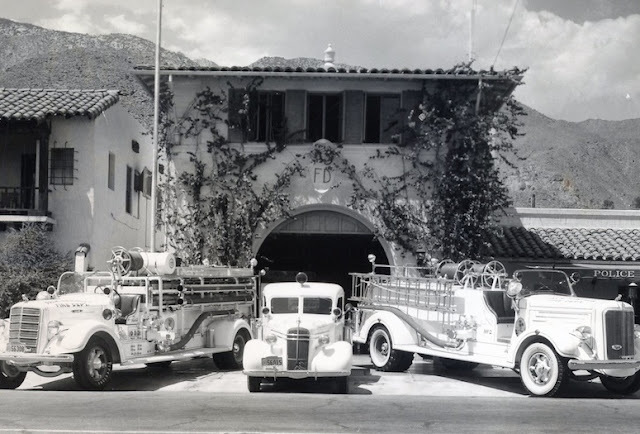 Rated as one of the finest small town fire departments in the west, the Palm Springs Fire Department welcomed a new MACK Model 95 fire truck to the department’s lineup Sept. 6, 1940. Built in 1931, the miniature railroad was credited with helping the Detroit Zoological Park survive hard times during the Great Depression. Starting out at a nickel a ride, train fares provided the zoo with dependable revenue. The replica steam locomotives and passenger cars became obsolete in 1948. The next year, in 1949, the founder of the Chrysler Corporation, Walter P. Chrysler, offered to develop a completely new design and power plant for the the Detroit Zoological Park . 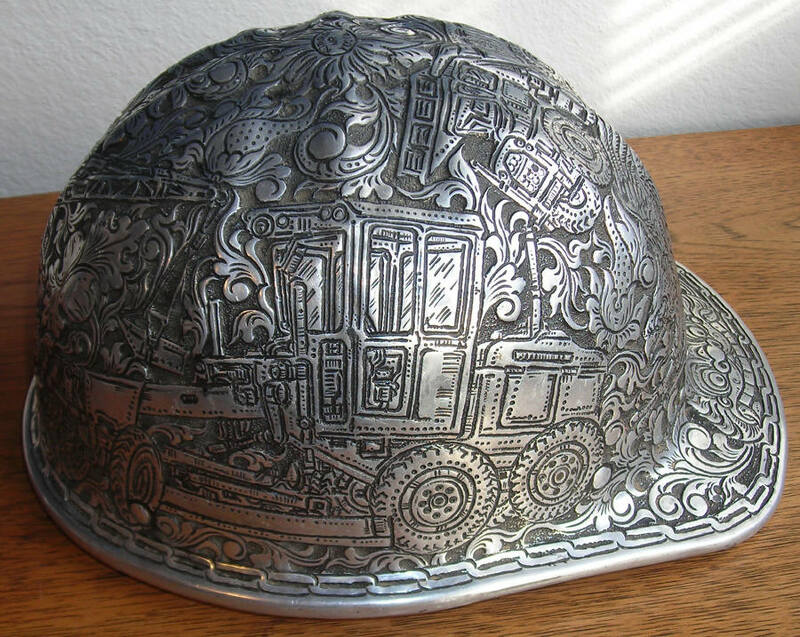 The result is a trim eight-ton streamliner train engine: The Walter P. Chrysler. The job was assigned to the Engineering Division and all the departments—Art, Development and Road Test—helped out. The power plant is a six- cylinder automobile engine with fluid drive and hydraulic transmission. It can make about 25 mph and has a standard Chrysler cooling system. Chrysler designed, built and donated two more railroad engines in 1950 and 1951. 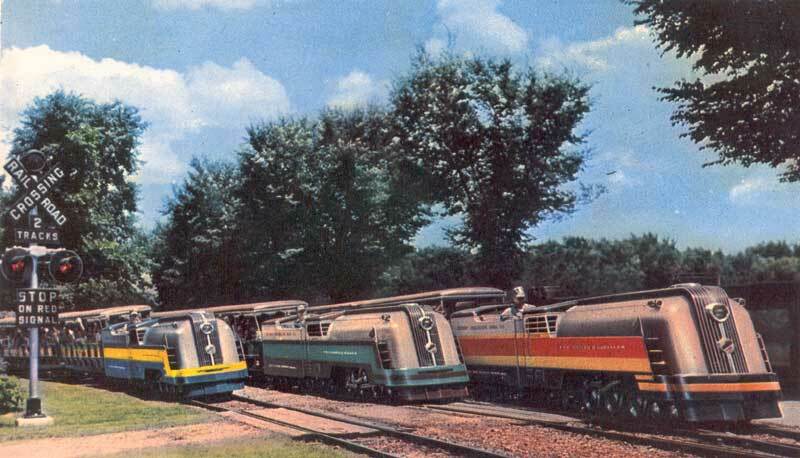 The zoo’s new trains were modeled after the fast, aerodynamic Streamliners of that era. After serving millions more riders, the trains were idled again in 1980 for repairs. 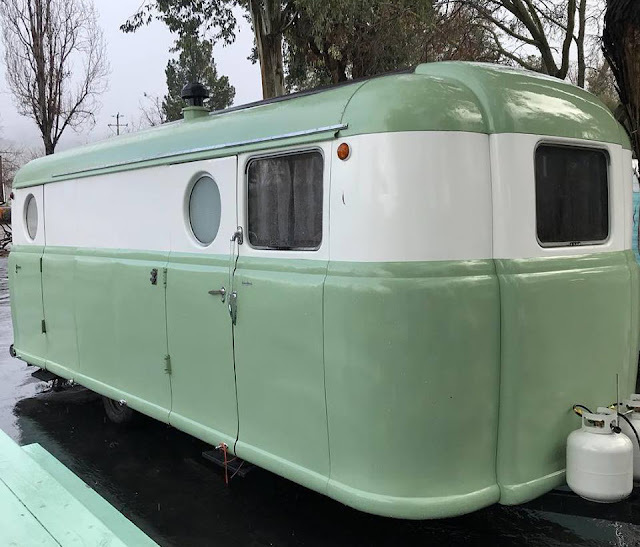 A fund drive raised $300,000, including donations from children’s allowances and proceeds from a zoo garage sale. In 1984, the trains returned to service. 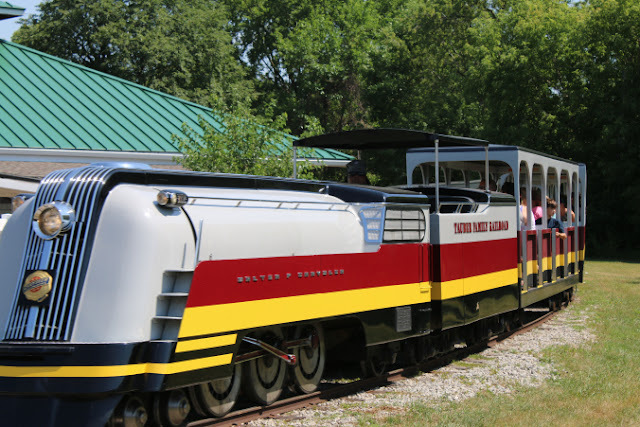 Tim Wade, the son of an aviation mechanic, has been able to improve the efficiency of the railroad system since being hired as to the zoo's maintenance department in 2014. Wade grew up racing cars, and has changed the entire way that the trains are maintained and repaired.